Constellation CLT is a new museum-wide project designed to connect visitors to The Mint Museum with the universe of talent in the local community. 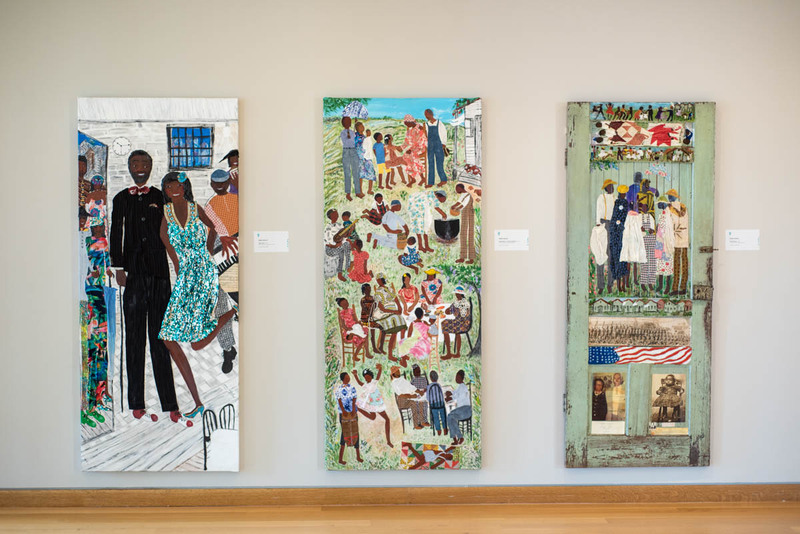 Each year, the work of three different artists from the Charlotte region will be featured in three of Mint Museum Uptown’s public spaces, allowing the public to become familiar with the city’s diverse, every-expanding creative community. Here, you will find a list of artists who have participated in Constellation CLT thus far, as well as an interactive map populated with markers associated with each of the artists, such as their studio location, where they may have works of art on view, and perhaps noteworthy past or future projects. You’ll also discover ways to connect with the artists on social media so that you can see more of their work. Enjoy! Constellation CLT is generously supported by The Arts & Science Council. Terra Forma installation will be moved to Mint Museum Randolph later in the spring. The Terra Forma series began in 2016 and continues today. I pull forms out of the existing environment, inspired by the events of the day and the ecosystem around me for the choice a “drop.” The drop involved placing a ring to create a formal circumference: a terra form, a spherical boundary, a cell, a reference to the earth that sustains us despite our interference. I begin the terra forms as a sensing and experience of place, restricting myself primarily to what nature provides as materials from each form. I dig and mold the earth, later placing surrounding flora, and it becomes a very physical meditation. These framed archival inkjet prints are sumptuous details of Crista Cammaroto’s striking Terra Forma installations. In these images, she preserves the ephemeral beauty of what is actually a fleeting event, as many of the elements in a Terra Forma earthwork will wither and fade over time. Constellation CLT can be seen in four places at Mint Museum Uptown: at the foot of the atrium escalator, on the landings of the mezzanine, and the 4th Levels. Cammaroto will also create temporary Terra Forma installations in the atrium of the Mint Museum Uptown from April 17-28 and later in the spring at Mint Museum Randolph.